Recently, I've been getting a trillion questions about calorie counting, and how I managed to do so well with it in getting back to my goal weight. The reason I chose to count calories is because it's very simple (not to be confused with "easy")--you just count the calories in everything you eat. I really didn't want to overthink anything... so I didn't. In this post, I'm going to answer a bunch of the questions I've been getting lately, because it's easier than explaining it over and over elsewhere. I say this all the time, but I want to stress again that everybody is different, and what works for me may not work for others; and what works for others may not work for me. I am not trying to tell anyone how to do things, because I don't know you! I think it's important that each person finds what works for him/herself. I want to start by saying that I don't have any set of "rules" that I follow. By taking away rules, I feel much less pressure. I'm not following a particular program or anyone else's guidelines. I typically just make stuff up as I go along, and learn from my mistakes. Q. What app do you use for calorie counting? Q. How many calories do you eat a day? I averaged all the calories I ate each day over the last 15 weeks, and it worked out to 1,568 per day. My Fitness Pal suggested a goal of 1,200, but obviously, I didn't adhere to that. I just ate what was comfortable for me (enough to not feel hungry, and also what I felt was a "normal" amount of food) and it worked out to be an average of 1,568 per day. I think the best way to find out how many calories to eat each day is just to experiment and see what works! Some days I eat much less, some days I eat much more. It just depends on my appetite that day. Q: How did you determine the number of calories to eat per day? Q. Do you add in extra calories for exercise? A. No. (They get added automatically to My Fitness Pal because it syncs with my Garmin, but I don't consciously think, "Oh, I burned 275 calories on my run today, so I can eat an extra 275 calories today.") However, because I don't have an actual calorie target each day, "adding in" calories for exercise wouldn't really make sense. Like I said, I wanted to keep it very simple and not overthink anything! If I was trying to stick with a particular calorie target each day, I would probably add my exercise calories in, just to give myself that option to eat more. But because I don't have a target, there is no number to add to, if that makes sense. If I'm hungry, I eat more; if I'm not, I eat less. Q. What is your "high calorie" day that you talk about? A. Once a week, I choose to eat more calorically dense foods and go over my "typical" calories. I usually end up eating about 2,500 to 3,500 calories on a high-calorie day. I don't binge, or call it a "cheat day" or anything like that. I eat the same volume of food I do any other day, but I choose foods that have a lot more calories than my normal days. For example, my kids love getting pizza once a week, so I might have three small pieces of pizza for about 1,000 calories. Normally, my dinner is about 300-500 calories, even if it's the same volume of food. I usually use the high calorie day if I'm going to be going out to dinner or if Jerry is off work and we have something special planned. I do the high calorie day to keep my body from getting used to eating the same general number of calories per day. Q. Do you track your macro nutrients (carbs, fat, protein)? A. No. Again, keeping it simple. I track just my calories, and I don't worry about any other numbers. I've found in the past, when I've tried to track nutrients like carbs or protein or fat, I get a perfectionist attitude. If I don't hit the target, I feel like I failed. Then, I typically binge and quit altogether. By keeping it very simple, tracking just ONE number (calories), then I don't get overwhelmed. My Fitness Pal automatically keeps track of macros, and on the very rare occasion that I glance at it, I see that I eat mostly carbs and fat--ordinarily, that would freak me out, because "everyone" says you should eat less carbs and more protein to lose weight. I just keep in mind that I am not "everyone", I am ME. And I will do what works for me. Q. Do you track your fruits and vegetables? A. Yes. There are calories in fruits and vegetables (more than I thought, actually! Being on Weight Watchers for so long, I tended to think of vegetables as "free", but the calories really do add up). I track everything I eat, even the 5 calories in my tea. Not tracking something doesn't mean I didn't eat it, as much as I wish that were true ;) Only three people see my food log: myself, my husband, and my best friend. So, there is no reason to hide things from my food log! I would only be kidding myself. Q. What kinds of foods do you eat? A. Anything I want. Whatever sounds good to me at that time. Again, keeping it simple! If I try to restrict something, I'll just obsess over it; so, I don't have any "rules" about what I can or can't eat. Some of my favorite foods that I eat a lot of: Larabars (I eat one with peanut butter every day for breakfast), scrambled eggs with cheese, pizza, all sorts of soup, sweet tomatoes, pasta, Hostess apple pies, and dried cherries. Q. How do you count bites of food here or licks there? Do you count them? A. I actually got into a really nice routine with my meals, and I very rarely stray from it (not because it's a "rule", but because it's comfortable). I eat three meals a day and one bedtime treat. I don't do any snacking, because I don't like to spend calories on snacks--I'd rather eat higher calorie meals three times a day. In the evenings, I enjoy a treat of some kind--a couple of cookies, a glass of wine or two, a mini apple pie, candy, dried cherries... whatever sounds good. It's usually about 200-300 calories; but again, I don't have a particular target. So, because of my routine, I don't do any bites, licks, or tastes--just meals. Q. How do you track the calories in recipes? A. My Fitness Pal has an awesome recipe tracker on the app! When I'm cooking, I can literally just scan the barcode of ingredients and build the recipe right there on the app. Then it's saved for the next time I make the recipe, too. You can even import recipes from websites and swap out ingredients if you change things up. It's a really great tool! Q. 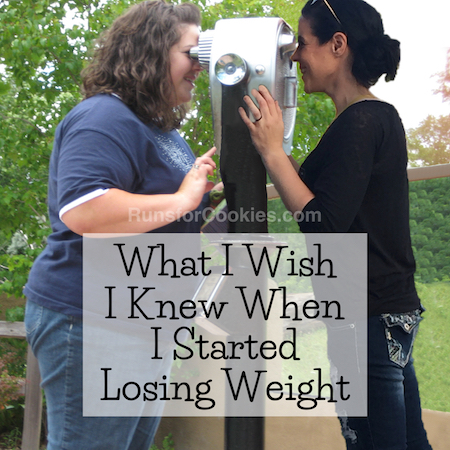 What's different between how you're eating now and when you were doing Weight Watchers? A. Weight Watchers is a great program! (Edit: I am no longer a fan of WW.) That's how I lost the majority of my weight. However, when I was doing Weight Watchers this year, it took FOREVER to lose weight--I lost four pounds over a couple of months. I was staying on program, so I just assumed my metabolism had slowed or something. However, now that I've been calorie counting for a while, I am starting to see what the problems were. I learned to "work the program" in order to get the most calories possible out of each PointsPlus (something that, once you learn, you can't "unlearn"). For example, I learned that 25 grams of peanut butter and 28 grams of peanut butter had the same number of PointsPlus; so naturally, I would choose to eat 28 grams. When you do that with all of your foods, you eat a lot more calories than you would otherwise! I think the biggest issue, however, was the fact that I was following all the "rules" of WW. Since WW gave me a target number of PointsPlus to aim for each day, I would always try to work it like a puzzle, getting in a particular number of PP each day--no more, no less. I ate all of my activity PP and weekly PP, also, so even if I wasn't very hungry one day, I would still eat the PP that I was "allowed". If I was extra hungry one day, I would still try to stick with my allowance. While counting calories, I'm listening to my hunger cues much more, and I don't feel the pressure to stick to a particular calorie target. Also, Weight Watchers has you thinking in terms of weeks instead of days. For some people this works really well; but as a binge eater, it didn't work so well for me. My PP started fresh every Wednesday... so if, for example, I binged (or just overate) on Thursday or Friday, I wouldn't have any weekly PP to carry me over until Wednesday. A lot of times, I would just say "screw it" and not count my PP for the rest of the week. So, it wasn't the fault of Weight Watchers that I wasn't losing weight; it was just the way that I was working the program. To put it simply, calorie counting (the way I do it) has no hard set of rules, so I can just make it up as I go, fitting it into my life. I like that! Q. What do you do if you don't know how many calories are in something? Say, you go to a friend's house for dinner, and you don't know the recipe for what he/she prepared. How do you count that? A. I make my best guesstimate. I just search for the food in the MFP database generically (if your friend made lasagna, for example; with garlic bread and salad). I would search lasagna, and then pick the one that I would honestly think makes the most sense. Obviously, it's not going to be exactly accurate, unless you have the recipe, but it's close enough. I would search garlic bread and salad the same way. Q. Do you still have urges to binge? And if so, what do you do? A. I do still have urges to binge, and sometimes I have to white-knuckle my way through them (my kids arguing with each other is my biggest trigger!). But, the more time that passes since my last binge (115 days and counting right now), the more determined I am to keep the streak going. And the urges come less and less often now. It's much easier to cave in on Day 4 than it is on Day 104, for example, because you don't want to ruin the good streak! One thing that has helped is that I have a drink to sip--usually, I'll have diet tonic water with lime, or flavored seltzer water. Vodka tonics are my favorite cocktail, so when I have the diet tonic with lime, I can at least pretend I'm having the real thing, haha. Other things I do to pass the binge urge: text a friend, take a shower, play a game on my iPad, work on a puzzle, take Joey for a walk, plan out my meals for the next day, do a load of laundry... basically ANYTHING that either gets me away from the kitchen, or takes my mind off of the food. Finally, I make a mental note of what it is that I want to binge on, and I tell myself I can have it on my high calorie day. When my high calorie day comes around, I usually have forgotten all about it; but if I'm still thinking of it, then I'll go ahead and eat it (measuring and counting it, of course!). Edit: I wrote a four-part series about binge eating that details my eating habits very well. Probably way too much info, actually! Hahaha. Here is the link. Q. 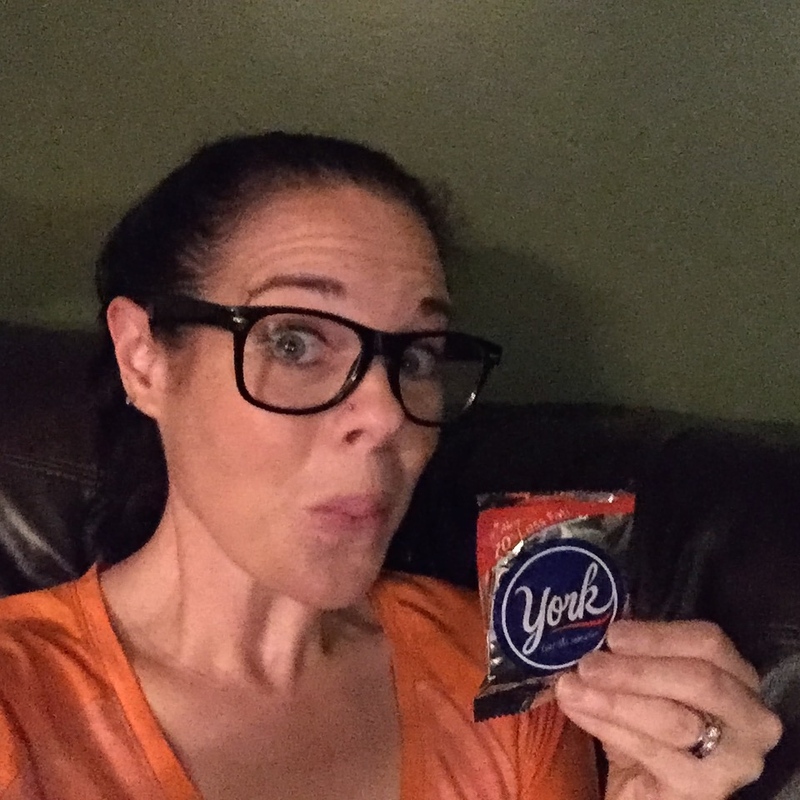 Does your old post about eating a dessert every single day to resist binge eating still hold true? A. Yes! I still have a dessert/treat every night, and I definitely think it helps me not to binge. It gives me something to look forward to all day, and by eating just a small portion, I am still excited to eat it again the next day (whereas, after a binge, I feel sick and vow never to eat it ever again). 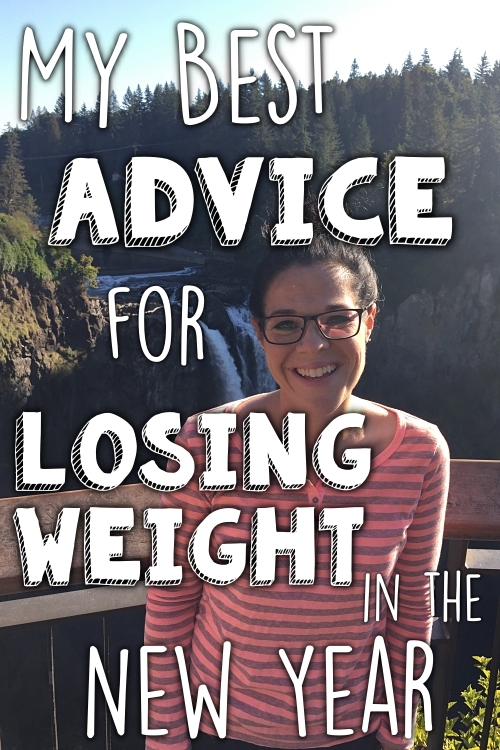 For a very in-depth look at my diet and how I refrained from binge eating, and all that, you can check out this series of posts. I think that pretty much sums it up! I can't stress enough that it really helps to experiment to find what works for YOU. Try making your own rules and change them around until they fit for YOU. I think the approach I'm taking is very similar to intuitive eating--I'm eating what I want, I'm listening to my hunger cues, I'm not following any "rules"--only I happen to log my food and track the calories, so I can keep myself from getting out of hand. For anyone who is struggling like I was struggling to get back to goal, my advice would be not to overthink it, and do what makes it easier for YOU. For example, if counting macros helps you to stay on task, then do it! If it stresses you out, like it does for me, then just focus on the calories. If having a target calorie goal each day helps you not to overeat, then do that; but if it makes you feel bad about yourself for going over your target once in a while, then try having a target range, or no target at all. That's basically what I did--I just looked at what made things easier for me, and made up my own rules. Hopefully that helps! Stupid question but what do you mean you don't have a specific calorie intake number? I believe you *have* to have one in MFP. So if yours was 1,500 but you had 1,586 you wouldn't stress over it? Is that what you meant? Not a stupid question! MFP gave me a target of 1200, but I completely ignore that. What I was trying to explain is that I don't try to keep my calories below a particular number. I just log my food and pay no attention to how many calories it says I have left for the day. I only pay attention to how many I've eaten, and I try to keep it reasonable. Sorry, that's the best I can explain! Wow, we have so much in common. Your posts are inspiring. Hi Katie! Thanks for this post...I really need to get back on track. I had been training for one race or another and counting calories on myfinesspal for almost 3 years straight. My plate has been so full (pun intended) since about March and I have had terrible sciatica so as I have completely gotten burned out and gained 10-15 lbs...I have been trying to get re-motivated and your posts really help. I have plans for a race in February with my best friend after not doing any all year. I want to get back on myfitnesspal and hearing your approach may help me. I had become obsessed with hitting 1200 calories (averaged in with my exercise) per day and macros of >20% protein and <20-30% fat and was getting frustrated to the point of entering my breakfast and lunch and as I started to see I was going over, I would just say "screw it" and just not count the rest of the day. I think your approach would help me get a fresh start and I've already changed some settings so I can start tomorrow...after all, tomorrow is another day...thanks for all your great posts, info and incite! Love it! MFP suggests I eat 1400 calories a day. That stresses me out and I feel like I don't have enough calories to get me through the day, yet at a daily goal of 1500, I'm not worried at all. Weird how that works! Thanks for sharing! It's always interesting to see how other people do it. MFP also told me 1200 calories and I ignored it - that's *crazy* low calories for me and made me freak out to think about it. I read all your earlier posts and emailed with Steph and worked out a system that works for me: a range of daily calories to aim for (1400-1700); a daily system (so one bad day doesn't discourage my week - just wake up and try again); and no "extra" calories earned for exercise unless I go 7-8 miles or more (and then I only use 2/3 of those calories, normally 1/3 the first day and 1/3 the second day when my hunger really kicks in). I've hit goal finally (3 months of diligent work with 6 ineffective and/or lazy months before that) and now have to figure out maintenance. Your blog is awesome and was a huge help - Thank You! So proud of you and happy for you!!!! I am in the same boat. Currently calorie counting to get back to goal weight after being away from goal weight for like almost 4 years! I have 12lbs to go. Everything you said is exactly how I did it when I initially dropped all my weight and that is how I am doing it again. It's simple and it works. I agree totally about finding what works for you. And, we are all different. I am crazy enough that I both count calories in MFP AND count Points with WW. I like counting calories because I agree that every calorie counts. So, I want to know about the zero point fruit/veggies. And, yes, I want to know about the food that is 30 calories more than another food, but they are the same point count. I also like knowing my macros (I personally watch protein very carefully to make sure I get enough). On the other hand, I get some stuff I like from WW. I don't try to eat the same amount every day either. I record my calories but I keep track in WW to also see how I'm doing on my weekly points (I usually eat about 25 to 35 of them). I wish MFP would let you set a range that you want to eat it or maybe set a daily average to aim for. In general, I find that if I stay within the calorie range I want to be in for MFP then I am also within my WW points (like I mentioned I don't usually eat all my weekly points, but do eat half to most of them, I don't eat APs usually). This works for me and really is not that much harder than just doing one of them. Thanks for sharing! Makes perfect sense. I'll llike knowing I can start with things I like not trying to force myself to eat stuff I really don't like and then slipping and eating like crazy. Great post Katie! I love how much emphasis you put on the fact that everyone is different and to experiment to see what works for you. I also get that perfectionist attitude when I try to count out everything to a specific target, especially with macros, and it usually spells disaster. You seem like you've become really in tune with your body, and you're looking wonderful! Great work! And thanks for answering all those questions. Very very interesting (and motivating)! Thanks for sharing Katie! For the past month or so I've been doing counting calories and it works out well for me. I've used My Fitness Pal in the past and it is indeed a great tool, but this time around I'm actually tracking with pen and paper. Old school, I know! Like you, I decided not to have a specific target and to listen to my hunger cues. By writing my calories down on paper, I feel 100% in control of my intake. There is no app telling me I've gone over my "allowance", or that I can eat some more even if I'm not hungry. There's no talk of macros. There is one number at the end of the day and that's it. Simple! Great post! 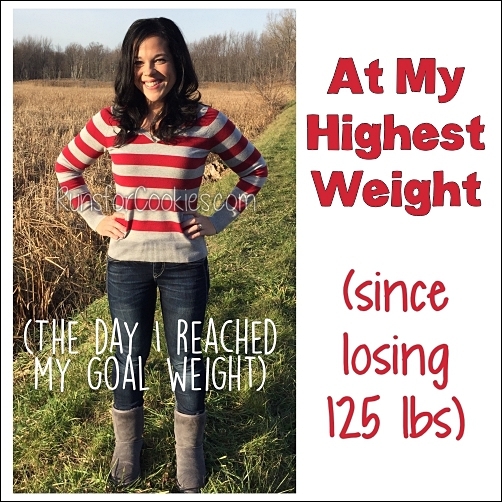 Congrats on hitting your goal weight! Thanks for sharing, Katie! And congratulations on achieving your goal. I was wondering, do you have the average number of calories you burned each day for the same period? I wonder if it nets out to be around the 1,200 calories per day that MFP suggests. I've always found that to be too little, and I've read a lot of the other school of thought that suggests as high as 2,300 calories (with the right training to balance it out). That's a really great question, and to be honest, I don't know how much I am burning each day. I would think 1200 would be too little as well! But I don't know for sure. I'm so sorry, but I only have my husband and my best friend as "friends" on MFP. It's nothing personal, I just feel more comfortable that way! This is great advice! Thank you for sharing Katie! Thank you so much for this post! You are pretty much doing everything I do so I am hugely encouraged :) I've lost more than 40lbs so far (out of 80+) by combining calorie counting with intuitive eating and for the first time ever I'm able to stick to a 'program'. 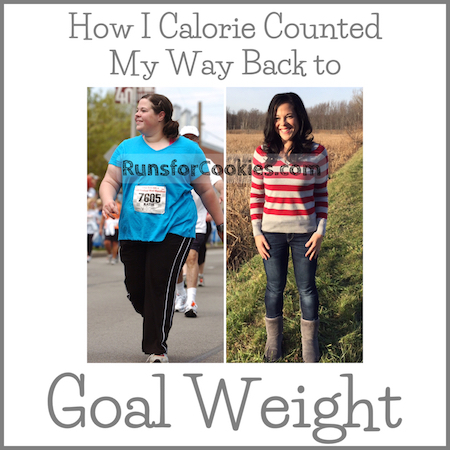 Are you going to continue with the calorie counting now that you're at goal? Thanks for this post, it's nice to know that I'm not the only one that tries to get the most out of every single WW point! The peanut butter was a perfect example. I am in the same boat as you, just sort of stalled out on WW. And I also do the binge my weeklies, run out of points, and then don't track for the rest of the week... Ugh, it can get frustrating! I am really excited for the new SmartPoints plan that is starting this week though. Hopefully that will help freshen things up! Seems like it is going to be much healthier and more personalized. Do you include your "high calorie day" in your average calorie intake? I'm just thinking that you must be eating lower than 1500 most of the time if you're then doing 2000-3000 one day a week, right? In order to get your average of 1568? Unless you don't include the higher day. Just looking for some other perspectives to consider for my own journey, thanks!! Yes, I included the high calorie day in my averages. There really isn't a pattern to my daily calorie counts, so it's hard to get very specific. On most days, I eat between 1300 and 1700 calories. Most weeks, I have a high calorie day (there have been a couple of weeks where I ate higher calories for several days, and some weeks where my high calorie day ended up being less, at about 1800 or 1900... it just depended on that day/week). But the overall average for the entire 15 weeks was 1,568 per day. Hmmm... are you only eating 1200 calories a day? Or are you eating your exercise calories as well? If you're only eating 1200, that could be the problem. It sounds counterintuitive, but eating too little (especially when burning that much in exercise) can make it more difficult for the weight to come off. You could also try caloric cycling (vary the number of calories you eat each day, instead of aiming for the same number every day). I do caloric cycling without really meaning to, but it has worked well for me. Hi Katie! I've read your blog for some time now and really enjoy it!! I have recently started counting calories and I'm having trouble. The scale doesn't seem to be moving at all!! I use MFP and I work out a lot. MFP gave me 1200 calories a day which I eat and then I work out to burn 500-600 calories a day. Any pointers on what I should try to get the scale to move? I feel like I'm putting the work in but not getting results. I'm new to counting calories, and was looking around and found your story (through pinterest). THANK YOU for being so normal with this!!! you have no idea what a huge weight (honestly no pun intended) has instantly lifted from my shoulders! I will be back again and again. I found this blog because a friend of mine told me about the show in Netflix. I've always loved running. 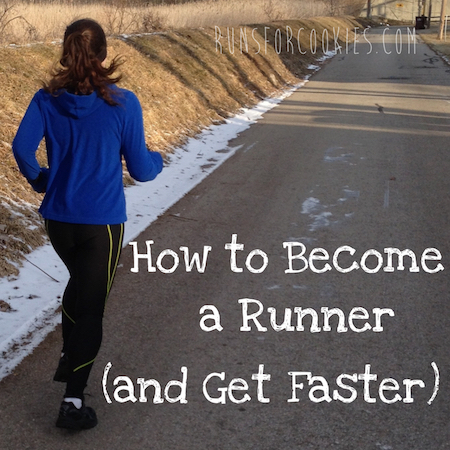 I trained for my first full marathon last year but 2 weeks prior -- life got in the way. Anyway. I've lost about 75 pounds by going low carb but over the past year have fallen off track (went back to school with a family and a job -- not making excuses but I am really struggling to find balance. Every day I try to hit that reset button but something always seems to get in the way. The program I'm in for school is pretty intense and I still have 9 months left). 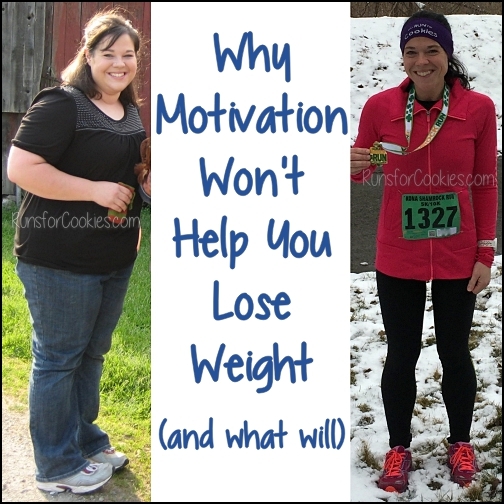 But I really would like to make running a priority -- however I've tried losing weight so many ways before -- and low carbing it was the only way I've been successful. 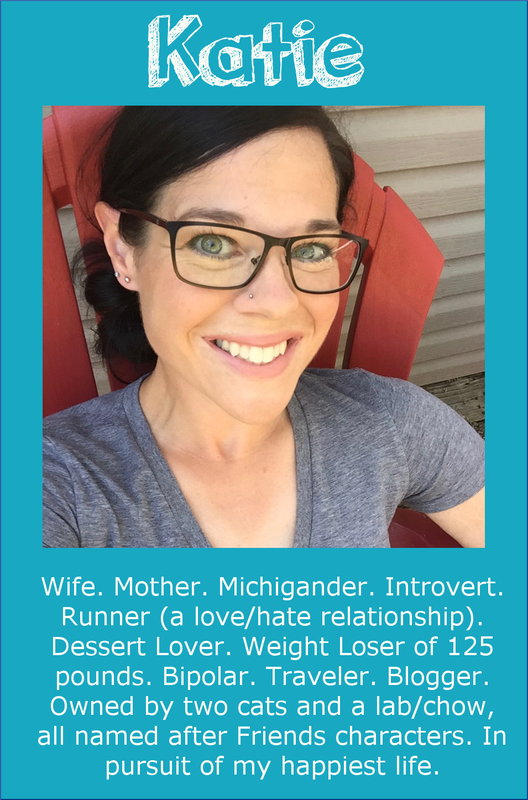 I know I can't run and do low carb-- and it would seem that I really need to run to reduced some stress more than I need to focus on losing the 30 pounds I've gained back. Can you please clarify for me? You aim for 1500 calories in -- not netting what you burn? So say you burn 1000 calories on a 10 mile run -- you don't up your intake to say 2500? Also how do you manage your hunger? When I was training for my full I gained 20 pounds which was frustrating. I lost it again when I stopped training but it's like my body just holds onto everything -- and then my engine is super revved too so I am insatiably hungry. Training. I'm so frustrated right now. Please help. I don't have a calorie "limit" for the day... I just base it off of my hunger. So, if I'm extra hungry from a longer run, then I'll likely eat more; but if I'm just not feeling hungry that day, then I'll eat less. I haven't been doing runs that long, either--typically 3-4 miles. Running 3-4 miles doesn't affect my hunger like a 10-12 mile run would. As far as managing my hunger, I actually don't really get hungry until shortly before I'm going to eat my next meal. I like to be hungry before I eat, because then the food just tastes so much better!